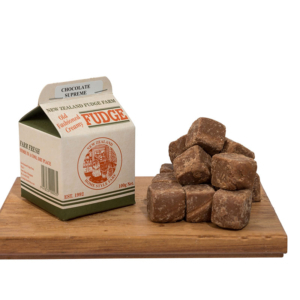 NZ Fudge Farm: a sweet sensation you’ll never forget! 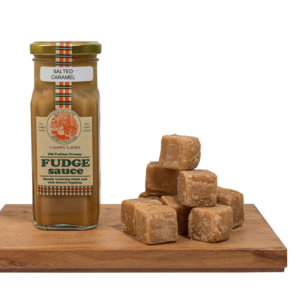 Treat yourself to a melt-in-the-mouth taste sensation with NZ Fudge Farm, where fudge is made the old-fashioned way. 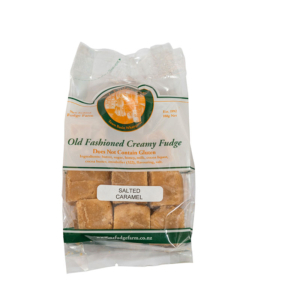 We use pure, whole ingredients fresh off the farm to deliver a creamier, crumblier, more authentic fudge! NZ Fudge Farm has come a long way from where it began; in a farmhouse kitchen located out in Northland’s countryside. Using milk from our neighbouring dairy farms, we began experimenting with old family recipes; until one day we created a batch of fudge that stopped us in our tracks. And it wasn’t just us who thought this fudge was something special – our family, our friends, our neighbours, even the postie; no one could get enough of our rich, crumbly, luxurious treats. So, we did the only thing we could do: we started making more. 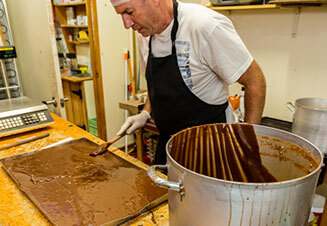 For nearly 30 years, NZ Fudge Farm has been following that exact same recipe; and the results are still spectacular. Today, we ship our fudge to every country in the world, providing a little piece of NZ homestyle sweetness to remind people that there’s simply no substitute for good, old-fashioned fudge. We became so popular, in fact, that we moved our base of operations into Whangarei City, in the heart of the Whangarei Town Basin Marina. 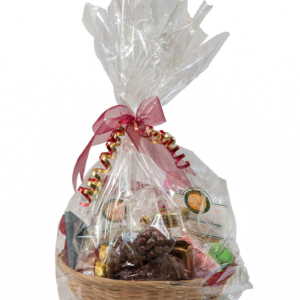 Now, our customers can choose from a wide selection of quality sweets, handmade chocolates, fudge flavours and dessert creations, while enjoying the vibrant local atmosphere.